The indoor water features are gaining widespread popularity across different households as well as commercial settings due to the numerous advantages that they offer. Are you trying to find complete peace out of your busy life schedule? 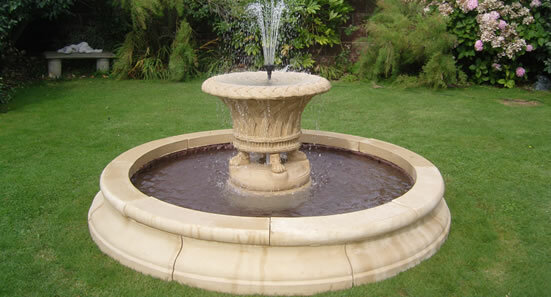 If yes, then installing a feature fountain can turn out a great help for you. You don’t need to go for meditation or weekly massages to relax. These feature fountains can certainly help you in rejuvenating your senses every day. It’s more than style that you should look for: Only style does not matter in the case of water features and fountains. Whether you want to add a fountain in your balcony, deck, patio or backyard, there are several other things as well that you should consider. Its material also plays a crucial role in defining its quality as well as durability. Different types of material that you may find easily include copper, stone, synthetic materials, and bamboo. DIY vs. pre-assembled: Both do-it-yourself as well as pre-assembled alternatives of such fountains are available in the market that aloe you to beautify your place without any hassle. It depends on your distinctive preference of selection. However, it is advisable that you should opt for DIY options only when you have greater command over electrical and plumbing techniques. Care and maintenance: The next big concern that you should emphasize while purchasing a fountain is the level of care as well as maintenance that it requires. For obvious reasons, the water in the fountain will evaporate due to constant re-circulation. Thus, you need to maintain the level of water in it to ensure effective performance of the pump for longer duration.